Thu., Aug. 23, 2018, 10:58 a.m.
Officials in Mexico said Tuesday that they discovered eight bodies in multiple locations across Cancun, a popular beach resort city – and magnet for American tourists – on the Yucatan Peninsula. At least one victim had been bound before being shot, while another was apparently killed while lying in a hammock, the Associated Press reported. Others victims were dumped on the streets, dismembered and stuffed into plastic bags, or left inside an abandoned taxi, according to the news agency. All the bodies were found outside the resort city’s beachside hotel zone, according to the Associated Press. The grisly discoveries were at odds with Cancun’s reputation as a resort haven in the Mexican state of Quintana Roo, one that has typically been shielded from the violence that has plagued other parts of Mexico. While other news outlets have reported that the travel advisory was issued because of the killings in Cancun, a State Department spokesman said Thursday that the updated advisory was related to a security alert by the U.S. Consulate in Ciudad Juarez, in a different state than Quintana Roo. A Level 2 travel advisory is in place specifically for Quintana Roo, and it cites an increase in homicide rates for the state compared with the same period in 2016. It’s not the first time this year that a Mexican tourist destination has been shaken by reports of violence. 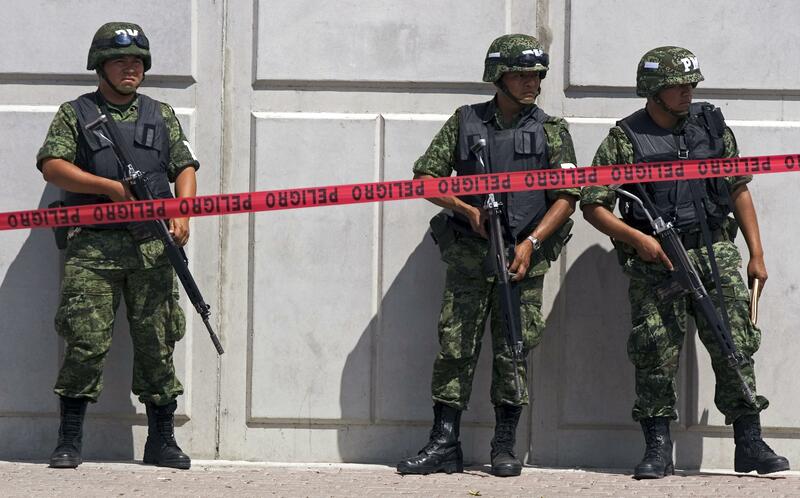 Last month, five people were killed and three injured in a shootout that occurred after gunmen ambushed police in Cancun, the Associated Press reported. In March, the State Department closed its consular office in Playa del Carmen, another popular resort city on Mexico’s Caribbean coast, and issued a security alert for the city after receiving “credible information” about a threat. Nevertheless, Mexican officials insisted that Playa del Carmen was safe and that all tourism would continue as normal. Last month, an American tourist was killed by a stray bullet in Mexico City during a drive-by shooting. That shooting occurred when Tatiana Mirutenko and her husband had been celebrating their first wedding anniversary and eating in Lomas de Chapultepec, a wealthy neighborhood in the Mexican capital. Earlier this year, the State Department rolled out a new tiered travel advisory system to warn U.S. citizens of potential dangers while traveling abroad. Now, travel advisories range from Level 1 (“exercise normal precautions”) to Level 4 (“do not travel”). Previously, the department had used “travel alerts” for short-term dangers and “travel warnings” for long-term concerns, a distinction that was often confusing. Published: Aug. 23, 2018, 10:58 a.m.